Product #22164 | SKU TR4SK | 0.0 (no ratings yet) Thanks for your rating! 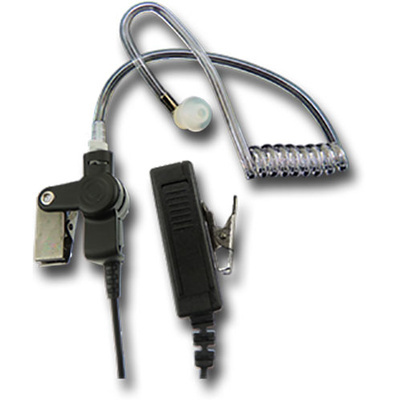 2-wire surveillance kit for TR400 radio with clear acoustic tube. Noise reduction microphone and metal clothing clip. Mushroom ear tips included.